← More Quilts of Valor! I started this quilt last week on a bit of a whim. I have no need for yet another baby quilt, but I ran across a small stack of my hand dyed fabrics and had an idea suddenly pop into my head. Tell me I am not the only one this happens to! I should have been doing something else, but I started cutting. And then I started quilting. And before I knew it I was binding and it was done! That’s a bad picture if you are looking for quilting details, but I thought it was kind of a fun shot. Here is a better one. I had a lot of fun playing with the quilting on this one. I shared a picture of this cutie, Little E, the other day, but I can’t resist a few more. I call him Mr. Squishy because I just want to squeeze him! 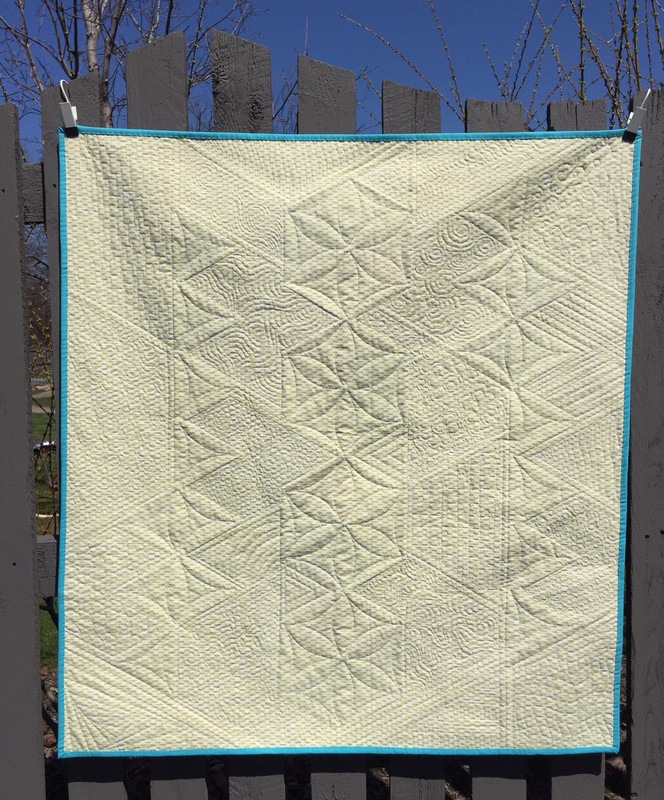 This entry was posted in Baby Quilts, Finishes, Free Motion Quilting, Hand Dyed Fabric, Uncategorized. Bookmark the permalink. What fabulous quilted textures on this quilt!! I just love, love, love all the different motifs!! Thank you for sharing! 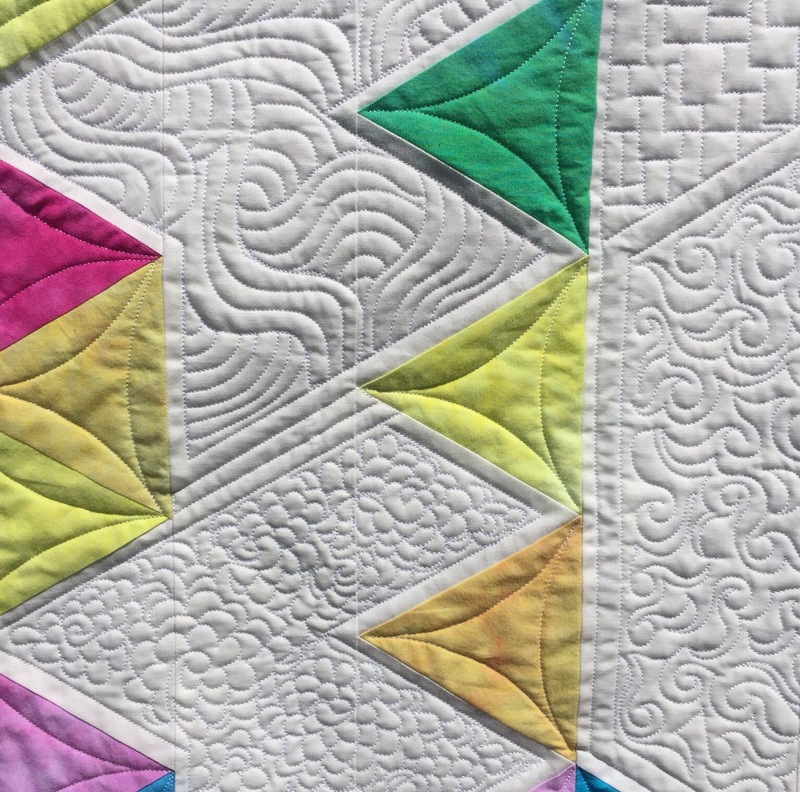 Such a gorgeous fun packed quilt – lovely bright colours, fabulous quilting, and the last picture of Little E smiling is the icing on the cake! Oh my! Your quilting is just fabulous. It’s a beauty! The colors are so lovely together and the little flags are a great touch. You really brought it home with that fantastic quilting, so many details to see and appreciate. It shows how much fun you had doing it all! Love how this has turned out. 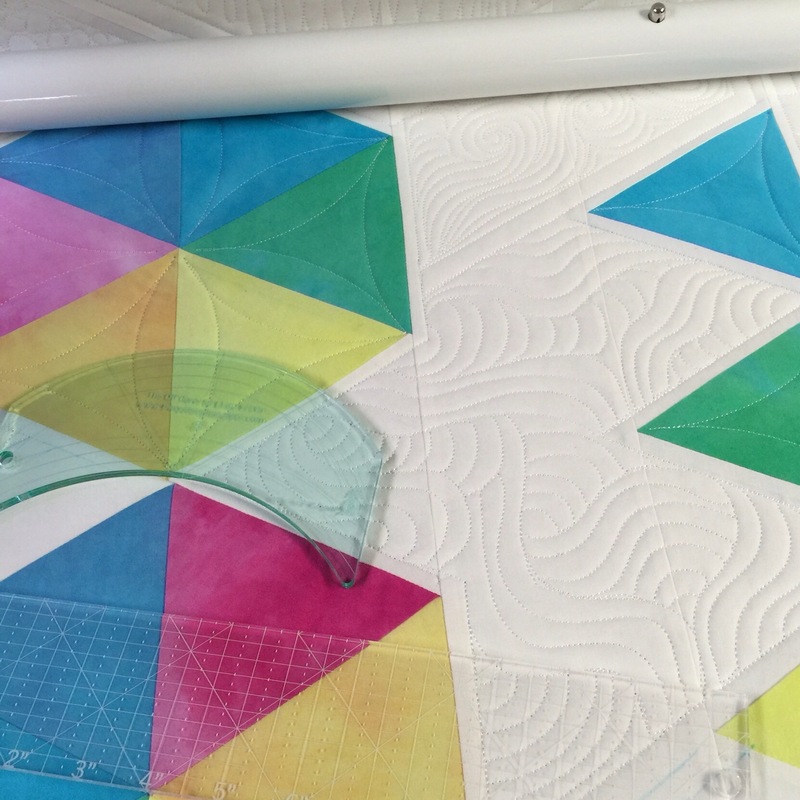 Great how sections evolved to have different quilting designs in! I just loved reading this post! Your quilt/quilting is wonderful, and that bay! Oh, my goodness! I have goosebumps clear down to my piggy toes! Wow, your quilting is fantastic! That is gorgeous and that cute little man on top of it made the picture complete. Wow. Just wow! That quilt is gorgeous, and yes, I do it all the time. Also yes, that face is just the cutest! What a sweet little guy! And your quilt is beautiful! I love the colors against the white background and all the detailed quilting. This is just beautiful!!! And what a cutie!! Thanks for sharing! 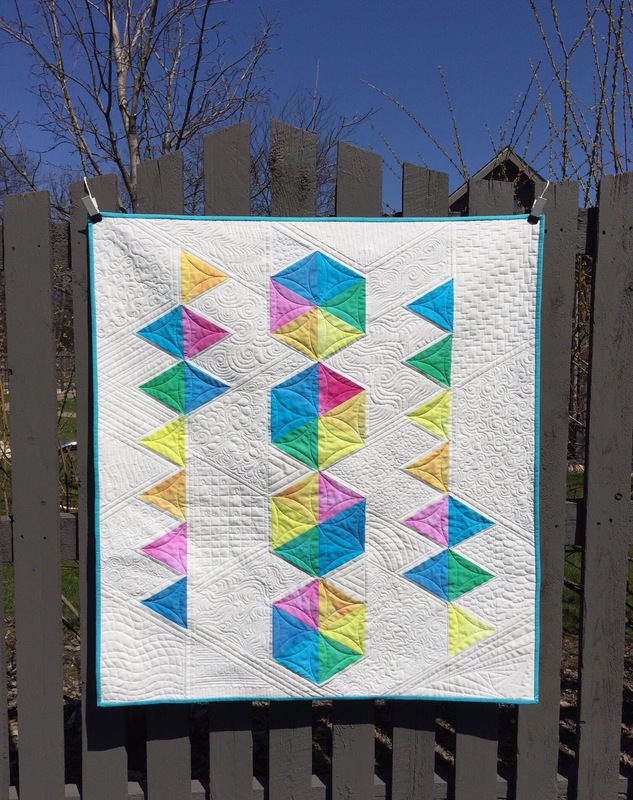 Love how this quilt turned out…..such a fun design, and the quilting is amazing!! Oh wow that is beautiful and the quilting is incredible- did you do it on your ordinary machine or have you got a long arm? 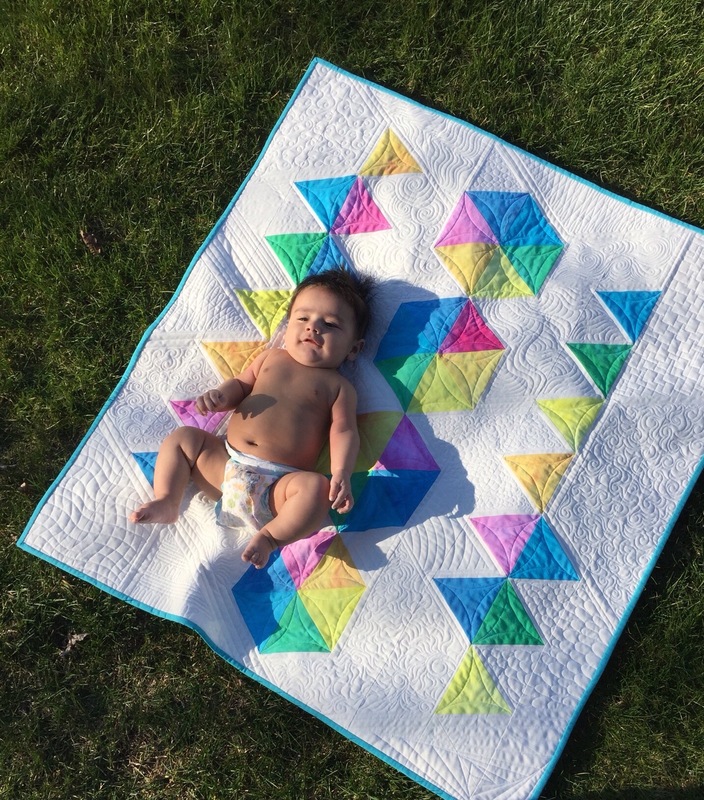 what an amazing quilt – and a beautiful baby too! Your quilting is totally awesome work. Love, love, love that!! 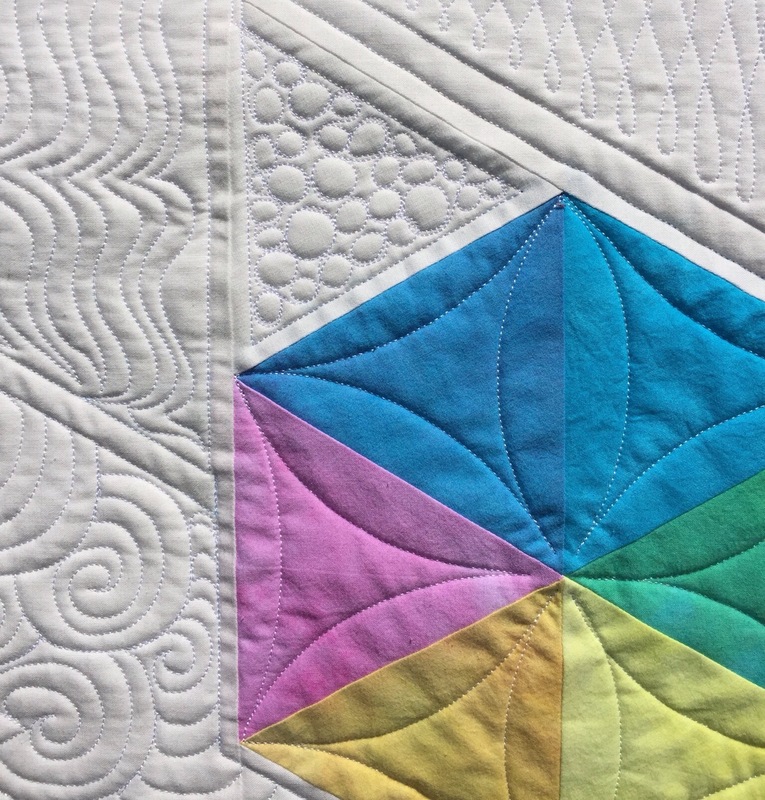 The colors, the original design, the quilting and most of all that adorable baby! Oh my goodness! In that last picture, he is so cute! Great finish! Little E could melt any heart with that cute little smile! That quilt reminds me of summers at the beach….good times..
Once again, LOVE LOVE IT !!!! and a great name for the quilt. The grandson is just the right touch, he makes it even more fun looking.. He is a cutie for sure. Oh, Mr. Squishy is way too cute! That face indeed! What a doll! And the quilt isn’t too shabby either! 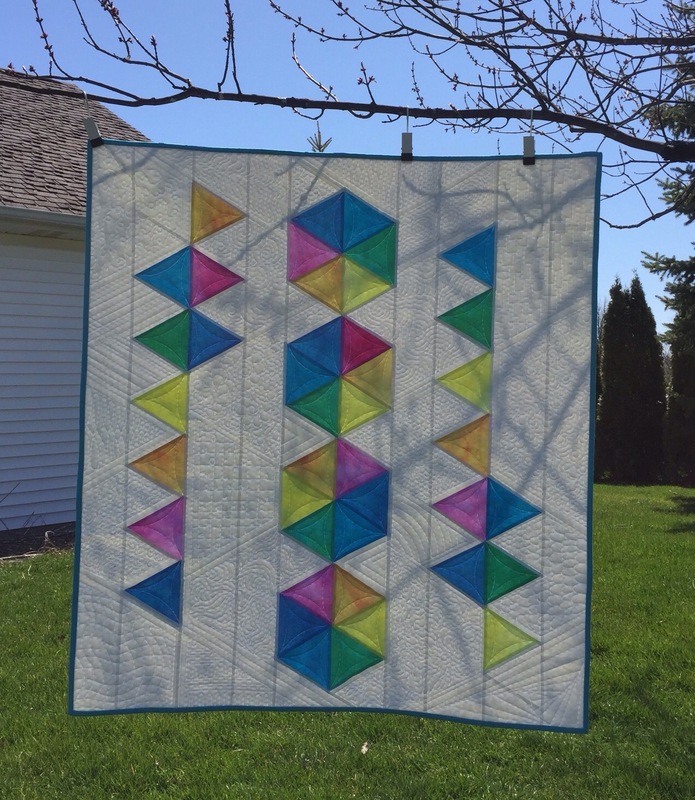 Great quilt with fabulous quilting! And that baby, such cuteness! This is so cute! Beach balls it is! 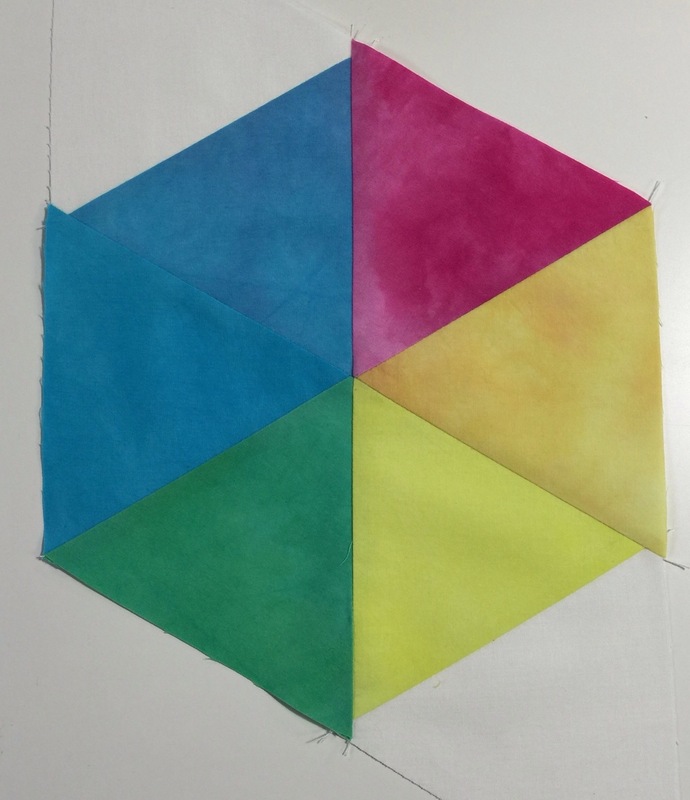 Love the bright hand dyed fabrics against the white…they pop or bounce off the fabric! Your quilting is gorgeous as always. Mr. Squishy is just that too! Mr. Squishy indeed! Nice to meet another person who “just wants to squish ’em” meaning all babies…oomph! Also nice to meet another DREAMI soul, something I am just writing about in my post for today! DRop Everything And Make It. I absolutely LOVE how this quilt turned out! 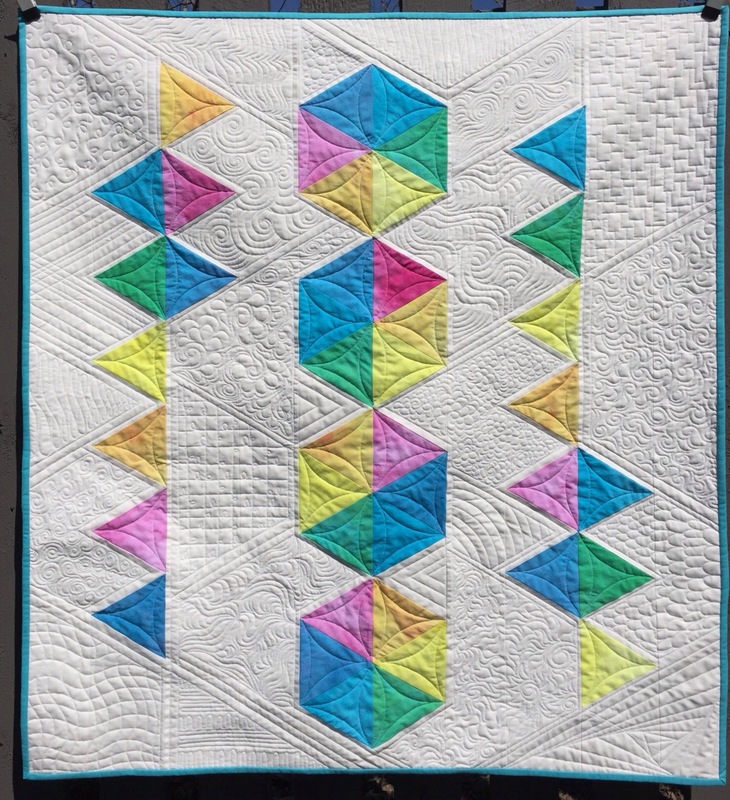 I’ll admit at first I wasn’t sold on the two outside rows of triangles but oh yeah baby! Yu totally rocked the quilting.ha I also just realized another quirk we share: hanging quilts from tree branches! Lol. Little E is a big ADORABLE! Katy, do you have micro handles? I noticed the pebbles and just wondered about how you move your Avante in such small circles. Have a blessed weekend. This is beautiful! The quilting! That face! What an amazing quilt, Katy! Love how you let yourself go creatively in those open spaces. 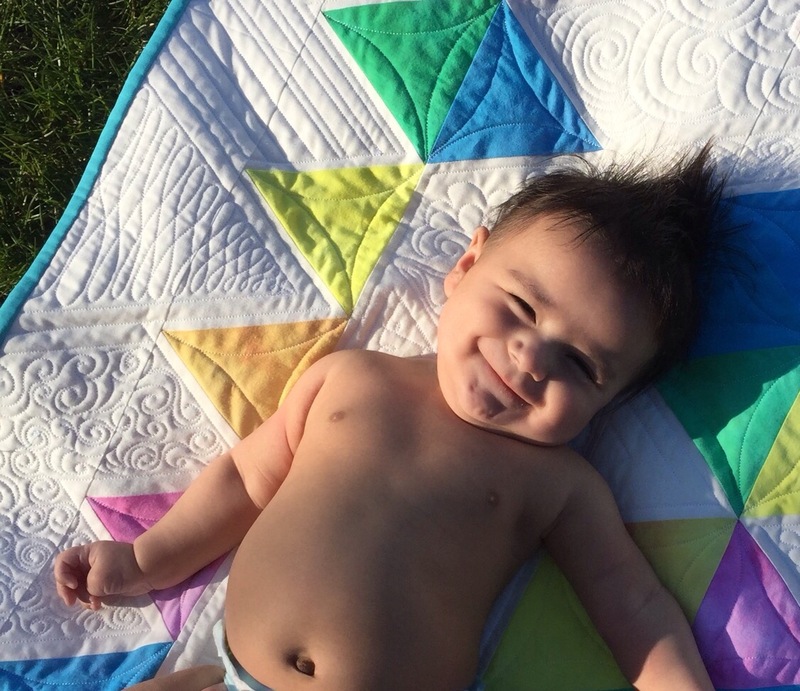 Little E is the most adorable quilt model ever!